October is here, and yet, it still doesn’t feel like fall. But as brisk autumn nights start rolling in through your Timonium neighborhood, you’ll be glad you had some firewood on hand. October is here, and yet, it still doesn’t feel like fall. For some homeowners, it won’t feel like fall until it’s chilly enough to build a bonfire at night. These nights are rare in the summer, but as brisk autumn nights start rolling in through your Timonium neighborhood, you’ll be glad you had some firewood on hand. When it comes to buying the right firewood, you need to decide which type you would like to have. Softer wood will burn, but it won’t last as long, and the fire won’t get as hot. Luckily, burning hardwoods will have these effects, which is great for late autumn and early winter. Make your orders now and get in before all the demand starts to build up – after all, Lehnhoff’s Supply & Design can deliver the wood right to you. 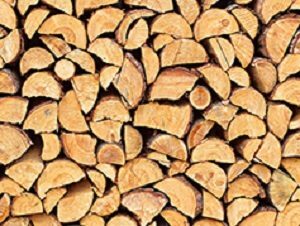 We have mixed hardwood firewood in either half-cord or full-cord stacks. Once you have decided what firewood you want, you’ll need to measure it. If you’re unsure how much firewood you need, then don’t hesitate to get in touch with the experts at Lehnhoff Supply & Design. Once it’s delivered to your Timonium home, you’ll also need to make sure that you got what you promised. Firewood needs to be stacked anyways, as this helps protect the pieces from damage and can increase the seasoning. Don’t know why that part is important? Think about the seasonings you put on your food – it helps enhance the taste. Seasoning the firewood works much the same way in principle – it helps it smell better once you light it. Buy the firewood in bulk now – you never know when you might need more than you originally expected! There are plenty of places to get the firewood you need in Timonium. That said, it’s much better to buy your firewood from local vendors. That way, you can avoid any surprises from diseases that can ruin your firewood and wreak havoc on the landscape around the neatly-stacked cords of firewood you’ve just taken delivery of. Even if you can’t find the firewood you’d like from your closest hardware store, you can trust Lehnhoff Supply & Design to have what you need along with advice on how to burn it safely. This entry was posted on Friday, October 5th, 2018 at 9:47 am. Both comments and pings are currently closed.